3 Bedroom Semi Detached House For Sale in Stockport for Asking Price £300,000. 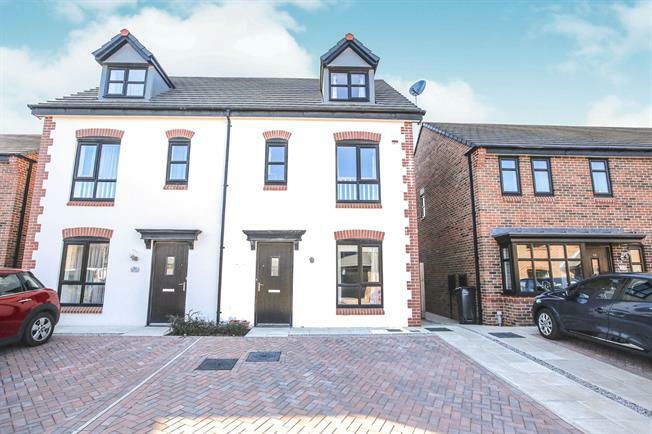 A three double bedroom new build home. This spacious and ready to move into home is being sold with no onward chain and will appeal to the first time buyer or family looking for a hassle free move. The home is in immaculate condition throughout and is a credit to the current house proud owner. This home is located in the highly sought after location of Hazel Grove and benefits from being close to excellent transport links and outstanding local schools. The home also benefits from having off road parking for several vehicles. This home has three double bedrooms plus master bedroom with en suite facilities. A new build ready to move into home in a prime location with en suite bathroom and off road parking,.